Robi TV consists of Live TV and Video on Demand (VOD) directly streamed onto your mobile devices. You can select from an exhaustive list of 30 + Live TV and VOD channels. Now you can watch your favorite local and international channels on your mobile anytime, anywhere. The channel list will keep growing and you will always have something new to discover on Robi TV. Besides, you can watch latest and popular old full length movies and drama anytime you want. 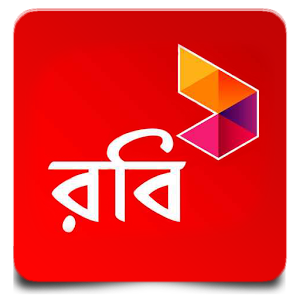 Step#1: Download Robi TV Android app from http://tv.robizone.mobi and install in your mobile device. – Open the Android App and accept terms and conditions to reach the home page. – Go to settings and choose your subscription pack and you’re ready to go. Step#1: Open your browser and type http://tv.robizone.mobi to reach the homepage of Robi TV. Step#2: Click on any TV channel to start watching. Before you can watch you will be asked to subscribe for a suitable pack. - No Data Charge will be applicable while watching Robi TV.